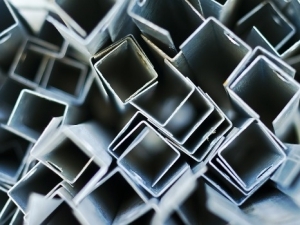 Scrap metal is one of the most common recyclable items that you can find in every household. It is also one of those items that can pose the threat of injury as a simple scrap pile most likely contains sharp edges and numerous debris. People would usually wait until they are able to reach a substantial amount of scrap pile before deciding for its disposal. As a result, these old scrap metals easily cause the cluttering of a yard or garage where they occupy too much space and develop rust. Any large unwanted item, which is made up of 51 percent metal or higher, can qualify as a scrap metal. Our team at 1300Rubbish can take the scrap metal out of your household or business address with our professional scrap metal pickup services. We can pick up a wide array of scrap metals such as iron, copper pipes, bicycles, aluminum, stainless steel, tire rims, car batteries, brass and lead. Other scrap metals that we can collect include metal cabinets, exercise machines (weight benches, treadmills, etc. ), grills, lawnmowers, metal doors, iron furniture and railings, shower stalls, sewing machines, metal lawn chairs, automotive parts (should weigh not heavier than 60 pounds or 28 kilos), wire clothes hangers, pots and pans, and large household appliances (stoves, wall ovens, microwave ovens, freezers, dishwashers, dehumidifiers, clothes washers, clothes dryers and air conditioners). Disposing scrap metal and taking them to recycling centers may seem like a difficult thing to do. By calling our team at 1300Rubbish, you can count on our scrap metal pick up services to take care of all your scrap metal disposal and recycling needs. We can handle all types of scrap metal and provide all the help that you need. Call us today and we will get to your location, pick up your scrap metal and take it to a recycling center for proper disposal. While we handle a wide variety of scrap metals, there are certain items that we don’t include in our scrap metal pick up services. Cars, vehicles and automotive parts that weigh more than 60 pounds or 28 kilos. If you have these items, simply call any automobile wrecking companies or automobile parts recyclers and salvage businesses to learn more on their proper disposal. We pride ourselves with professional and reliable scrap metal pick up services. Just give us a call at 1300Rubbish (1300 78 22 47) and we will get to your location at your preferred schedule. Our customer service team will handle all your queries and even provide you with a non-obligation quote. Once a pick up schedule is set, we will make sure to get to your location on time and provide you with a prompt and efficient scrap metal collection services. We will also do a thorough clean up of the area and make sure not to leave any trace of scrap metal.